 A three month program designed to deliver qualified tech talent to local employers and short-term professional experiences to competitive Hunter College undergraduates. If you're interested in learning more about hosting a TTP resident, please contact Elise Harris at eh1782@hunter dot cuny dot edu. Here are the dates for our next round. We are also looking to build relationships for other, future internships, so please complete our interest form even after this cycle ends. The TTP Residency @ Hunter College is a semester-long program designed to deliver qualified tech talent to local employers and short-term professional opportunities to competitive NYC undergraduates. A partnership between the NYC Tech Talent Pipeline and Hunter College, TTP Residency @ Hunter College gathers valuable feedback from host businesses to better align tech education with the workforce needs of NYC employers. CUNY 2x Tech is an initiative of the City of New York that aims by 2022 to double the number of graduates from the City University of New York (CUNY) with tech Bachelor’s degrees ready to compete for tech jobs in NYC.